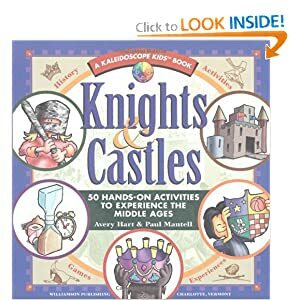 At one time fairy tales were the deadest section in children's libraries, but I found activities in 15 sites and books proving it no longer needs to be true. The Fairy Tale Bowl was brought into our district about 3 years ago. Our 2nd graders' TEKS involve fairy tales and folk tales, characters, setting, problem, solution, compare and contrast, and elements of these two genres. So, as a celebration, the librarians put together this bowl in which the students are asked to read anywhere from 10 - 15 fairy tales/folk tales either in the class or at home (each school varies their titles). On a particular date, we hold the bowl in which all of 2nd grade dresses as a character in one of the tales. 4 representatives from each class participate in the bowl with our quizco buzzer system. There's 4 rounds of questions and 2 Lightning Rounds of questions. The winning team collects the most points and wins a class trophy, medals. All the kids who participated receive ribbons and certificates. Just a fun way to wind up the TEKS studied. This was my first year to do it. Seemed too easy for the kids so I think I'll include some fractured tales next year. This bowl is similar to our Battle of the Books for 3rd and 4th grade except we don't take points away for wrong answers in the Fairytale Bowl. 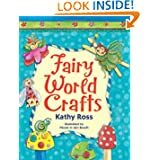 Here are 14 other books and websites with great activities the Fairytale Bowl idea challenged me to find. This is the first of Kathy Ross's excellent books. 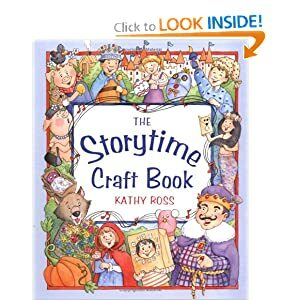 Fairy Tale Land has activities for: Ugly Duckling; Little Red Riding Hood; Jack and the Bean Stalk; Gingerbread Man; Goldilock and the Three Bears; Cinderella; Sleeping Beauty. Crossword puzzles must be done in Internet Explorer 5 or higher. Some of this British site is clearly only for schools, but I especially liked the Fairytale Frames for use whether in a library, school, and beyond. Fairy Ideas This page has “Fairy Tale Head Bands” at its start, but it’s way more than that, including a large medieval section, dramatic play ideas, and ideas related to these tales: 3 Little Pigs; Cinderella; Peter Pan/Pirates; Alice in Wonderland; Little Red Riding Hood; Jack in the Beanstalk; Gingerbread Man/Boy. Changing Roles Don’t let the lesson plan format stop you if you’re not a teacher as this works with a variety of ages, tales, and beyond the classroom. Fairy Tale Quiz There are some real toughies in these 24 questions even for fairy tale fans, but you might know a few already...the rest should challenge you to dig up the answer. 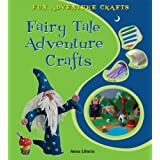 Fairy Tales Theme This says Preschool Activities and Crafts, but primary and elementary grades would be able to use many, too. 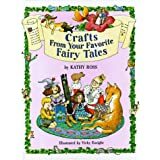 Covers 17 Fairy Tales, Folk Tales, Tall Tales, and Legends, plus the site has other sections on the site about Fables, Nursery Rhymes, and Legendary Animals. This site has several alphabet lesson plans, crafts, and printable activities, including coloring sheets, so it’s a good place to check for handouts. There even are a few science, social science, and safety ideas. ABC Teach - Fairy Tales Theme ABC Teach offers a lot more to its paid members, but still there are available free items of slightly less than 1/3 of nearly 100 handouts and printables ranging from preschool through 8th grade as this site is aimed at teachers, parents, and homeschoolers. 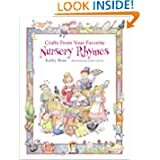 Not strictly fairy tales, but Kathy Ross's Crafts from Your Favorite Nursery Rhymes is planned for the preschool set and many activities also fit fairy tales for the youngest. Perpetual Preschool Fairy Tales If you work with young children and don’t yet have the entire Perpetual Preschool site bookmarked, why are you waiting?!? Readers suggest Songs, Snacks, Art, Science, Games, and more. It even gives the email address of the person suggesting so you may contact them for further information. An outstanding resource for early childhood work/play! Scholastic's Myths, Folktales, and Fairy Tales These are writing activities – noticing among other storytellers and authors the ever popular, John Sciezka, I admit to enjoying fractured folktales, but they always should only follow after the original is known. While researching this I repeatedly found broken links on various sites. Perhaps the education field is an area that changes frequently. If you discover any broken links, please let me know and I will update this article. Thanks for the shout-out Lois, your post is jammed backed as well. I have added your link to my mine as well. So happy you let me know it was here, I must have missed it the first time around. It's always great to have my storytelling friends also find what I do is useful for them. In your cases you also have blogs I would love to have people discover. June, long ago I fell in love with the Aussie storytelling world and your blog at http://jbthewriter.wordpress.com/ deserves mentioning here. Karen, I'm flattered that you find our work compliments each other so well. I've had a website for a long time, but you're my mentor in so many ways when it comes to blogging and I love that you, too, prefer to take a practical approach to what you offer there. Storytelling is both a journey and a family and it's wonderful to be in such company!!! Thanks for bringing so much good together in one place. The old tales have endured because they reach deep . . . I'm glad you found this useful. I hope you also clicked on the sidebar where "Labels" lists 3 blogs on the Fairy Tale topic and saw the 2 earlier posts. Each covers a different aspect of these tales that do indeed deserve to endure.